Arthropods are among the most successful animals on the planet. They inhabit the sea (horseshoe crabs), the sky (fruit flies), and the earth (scorpions) in vast numbers and are defined by their exoskeleton exteriors and segmented legs and bodies. These adaptable, modular parts may help explain why these animals are so well-suited to life on every corner of the planet. Their jointed legs and partitioned bodies also help provide clues into how they have evolved. 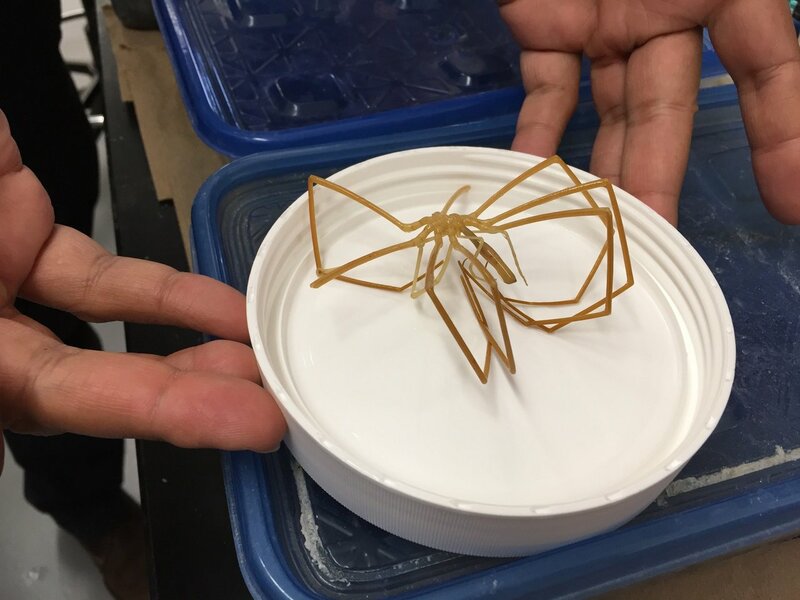 In a new study published March 26, 2018 in the Proceedings of the National Academy of Sciences, University of Wisconsin-Madison researchers Emily Setton and Prashant Sharma show that the common house spider and its arachnid relatives have dispensed with a gene involved in creating segmented heads, instead recycling leg genes to accomplish the task. 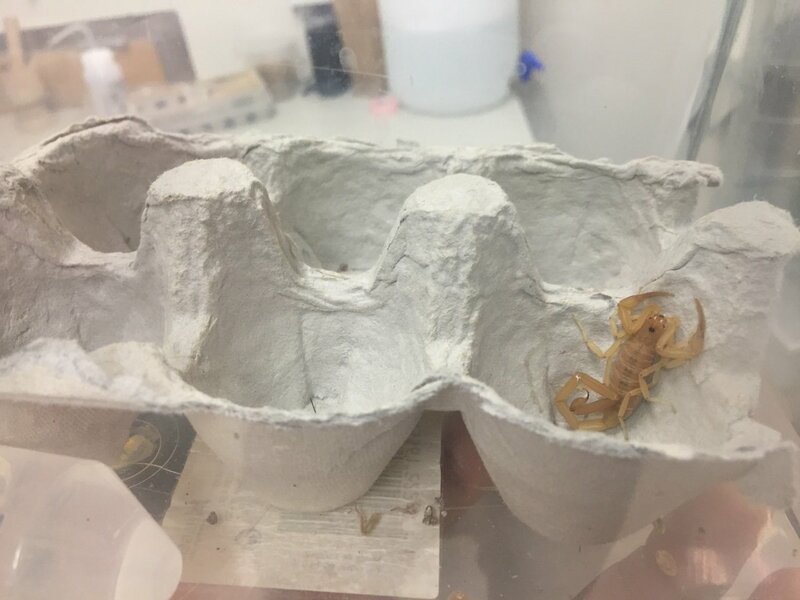 "We study spiders, scorpions and others to help build a more complete evolutionary story and look at what's going on in the complex world of arthropods," says Setton, who was an undergraduate majoring in anthropology and biology when she completed the work as one of just two study authors. "The world is a great, big place full of amazing diversity. We want to know, how does this happen? How do you build an animal?" Sharma, professor of integrative biology, came to UW-Madison from the American Museum of Natural History in 2015 and brought with him research on some of the creepiest, crawliest species on the planet, like venomous scorpions from Arizona, tarantulas from Colorado and enormous, blind sea spiders from Antarctica. "We work with really difficult animals to study," he says. "A big question of the lab is how is diversity built genetically, evolutionarily? How are ancient lineages related, and what are the genetic mechanisms that underlie the differences between them?" For example, how can the same appendages - and the same sequences of genetic code - that make a lobster's claws also make the mouthparts of a moth, the raptorial front legs of a praying mantis and the eye of a flatworm? In the study, Setton and Sharma show that a pair of genes, known as Sp6-9 and Dll, normally involved in telling a developing insect or arachnid embryo where to grow legs, has been co-opted by a group of arachnids to also help tell the embryo where to build its head. These same arachnids lack another gene, called Sp5, which normally leads to proper head segmentation in other arthropods, like fruit flies. "This is the plot twist that gives away the story," says Sharma, because it allows scientists like him to trace the evolutionary and genetic history of this group of animals, united by their loss of a particular gene. "It's a very arachnid-specific loss," adds Setton, who plans to enter a doctoral program in the fall. It was ingenuity, hard work and a stroke of luck that led her and Sharma to the story in the first place. Sharma is interested in the evolution of the silk-spinning organs of spiders called spinnerets. He and Setton were probing for the genes that dictate their formation, exploring whether they are, like other recycled parts, modified legs. That led Setton to look at a variety of genes involved in patterning spider leg development. Unexpectedly, when she eliminated leg development genes in arachnid embryos she also found that their head segments disappeared. There is a saying in biology that nature is parsimonious, or, as Setton explains, "Evolution doesn't want to reinvent the wheel." It's relatively common for a given gene to dictate a variety of functions from species to species, like the gene that codes for jaw bones in reptiles and also ear bones in humans. 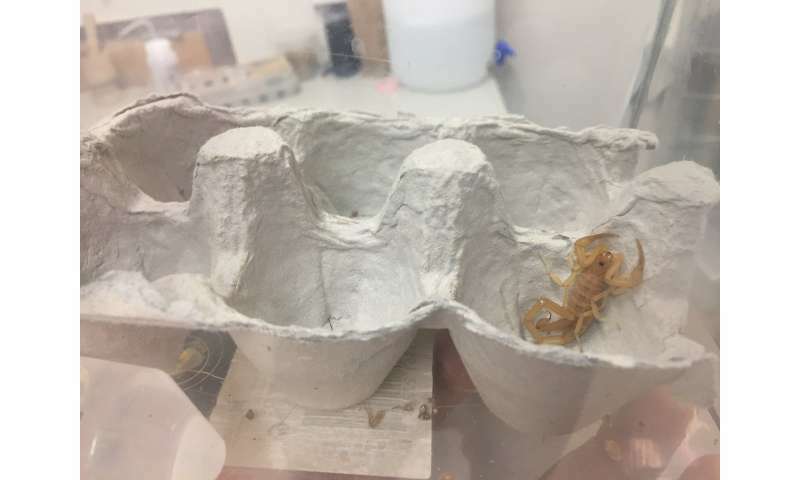 Spiders, scorpions and two other animals Setton and Sharma tested appear to have done this with Sp6-9 and Dll. Setton also identified a gene, called arrow, that when disrupted set off a cascade of cellular signaling events suggesting for the first time important relationships between segmentation and leg-development genes found across insects and arachnids. Her work has proved both challenging and personally fulfilling. "I love that I can come in every day and be curious," says Setton, who graduated in December. It also doesn't hurt that she isn't afraid of spiders. In fact, one of the highlights of working with Sharma is going out in the field to collect study subjects. 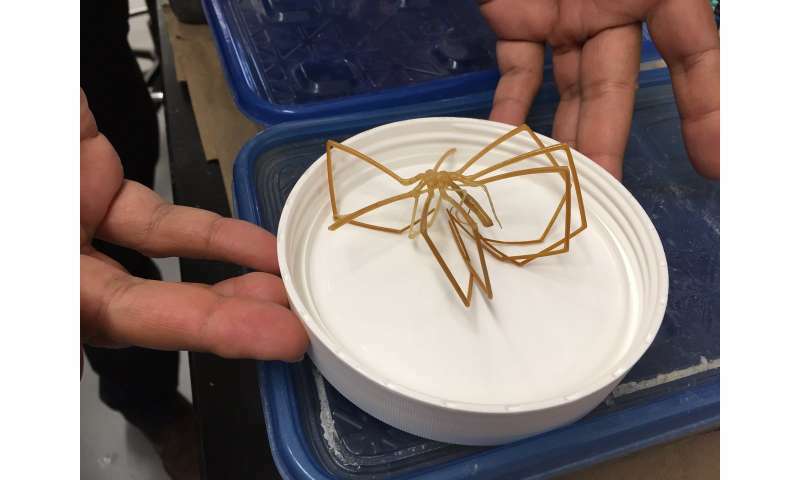 A postdoctoral researcher in his lab plans to collect blind cave arachnids in Israel this summer, and a graduate student went with him to Australia last August. "You go where the animals are," he says. For the spiders in the study, which are helping biologists trace the evolutionary history of one of the most prolific groups of animals on the planet, that means your kitchen window.